Welcome! We are happy that you wanting to learn more about the delightful continent of Africa, its many countries and wonderful people! We hope you enjoy the African games, discussion and books. • We would love for you to give us ideas for this kid‘s page. • Write a book review about an African book. • Ask an question you always wanted to know about Africa for our "I Wonder" series. • Have you been to Africa? Share your experience with other kids! Just send us an email at: "[email protected]" our domain name. Games played in Africa: Certainly many Africa kids spend a lot more time working as part of their family and looking after siblings (especially girls) than there counterparts in the North, but there is some play as well. Here is a partial list -- the specific differs a little from place to place. Homemade toys from wood, straw, animal skins and bone, stones, found objects, etc. Boys primarily: Rolling hoops, rims, tires ("inkil" in Eritrea); drumming, soccer, basketball, volleyball, kickball, athletics, wrestling (Gambia), boxing (Ghana), bicycling; playing with trucks hand made from wood (palm), wire, tin cans and other found objects; play-dancing masks (Gambia); checkers (with variations), scrabble, parchisi; "aquilone" flying kites (Eritrea); "balabburo" coin toss (Eritrea); "arimando" marble race (Eritrea); "cucinetti" go carts (Eritrea); "kib-kib" hackey-sack (Eritrea); "ashakhakhat alem" "lawn darts" (Eritrea); "Osani" (Efé, NE D.R. Congo). Africa Map Games. www.sheppardsoftware.com/African_Geography.htm Note: the Sheppard maps are more complete than the Child Learn maps. Africa Photos Galleries of photos of animals, people, plants, scenery, towns and more. Introduce yourself to Nigerian games, proverbs, music, schooling and more! Your questions about what Africa is really like. — Do you have a question about Africa or Africans? Email us your question at: ibike (at) ibike dot org. Question: What is a normal day like for an African child? Answer: A normal day for an African child differs from country to country and whether they live in the city or in a rural village. In general children’s days begin early with morning chores and preparing for school. Some children may go to schools far from their homes, so they wake early. Most African schools require uniforms. At school children learn Reading, Writing, Arithmetic, and different languages. Children also have playtime. Soccer is a big favorite in Africa. In the afternoons children go home to do chores, homework or play in their communities. • Have you been to Africa? Share your experience with other kids! Email us for details at: "[email protected]" our domain name. Always make sure an adult is supervising you when you are cooking! Recipes from 26 African countries and regions; plus how meals are served in several countries. What's for dinner in Africa? There are many languages in Africa. Kiswahili is a language used throughout eastern Africa, including Kenya. English translation: Hello! How are you? 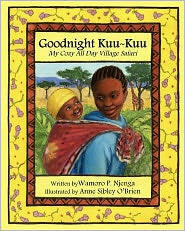 The following Africa-positive books are recommended for children. For annotations and critiques on more children's materials on Africa go to Africa Access. The International Bicycle Fund is an independent, non-profit organization. Its primary purpose is to promote bicycle transportation. Most IBF projects and activities fall into one of four categories: planning and engineering, safety education, economic development assistance and promoting international understanding. IBF's objective is to create a sustainable, people-friendly environment by creating opportunities of the highest practicable quality for bicycle transportation. IBF is funded by private donation. Contributions are always welcome and are U.S. tax-deductible to the extent allowed by law.